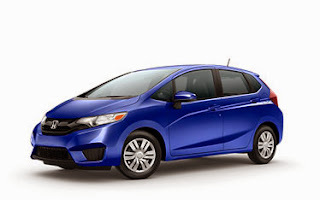 Obviously, the Fit fits those criteria, and as an added bonus it also has proven to be highly customizable thanks to aftermarket parts and accessories that allow for one of the most personalized vehicles under the Honda banner. This was proven at this year’s SEMA Show in Las Vegas, Nevada, where the 2015 Honda Fit was named the “Hottest Sport Compact” and the custom Tjin Edition Fit was voted as the Fan Favorite in the 2015 Fit Performance Project. "The 2015 Fit is a worthy addition to Honda's strong heritage of developing tuned sport compact vehicles, and it wears the mantle of ‘Hottest Sport Compact’ well," said Jeff Conrad, SVP & General Manager of Honda Division, American Honda Motor Co, Inc. "Fun to drive, versatile and a great value, the new Fit does so many things right, and it's great to see it becoming a popular platform for owner personalization." The completely-redesigned 2015 model year version of the car is the best Fit yet, and we’re looking forward to seeing it grow into one of the more successful cars in the lineup. It gets cooler and performs better with every passing year, and the SEMA Show awards prove that customization will open some doors for younger consumers, as well.